1. Click on the Add New Outcome button. 2. Enter a Name for the new standard section. 3. (Optional) Enter a Description for the new Outcome. NOTE: Outcome sections will often only provide you with a description. In this case, you will have to create a relevant name for the section based on the common description provided. 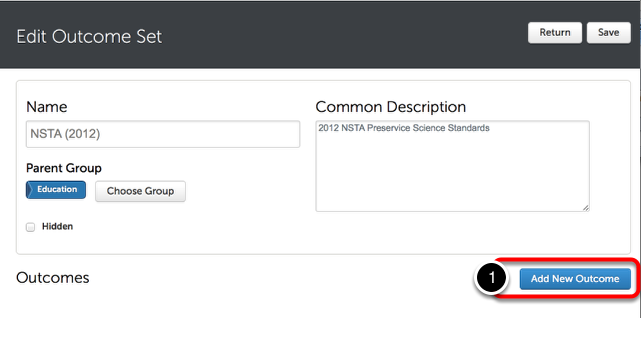 After you have saved the name and description, additional fields will appear. 5. Optionally enter Core Word(s) for the outcome. A core word (keyword) is a distilled one-word title for the outcome, from which you should name the criterion in the corresponding assessment instrument. 6. Optionally enter a Core Phrase for the outcome. A core phrase (key phrase) is a short phrase that includes an action verb and identifies the expert skill described in the outcome. 7. Optionally enter Tag(s) for the outcome. A tag is a way to categorize items within your Chalk & Wire site, allowing you to search for the categories later. You can optionally link the outcome to an assessment instrument criterion. 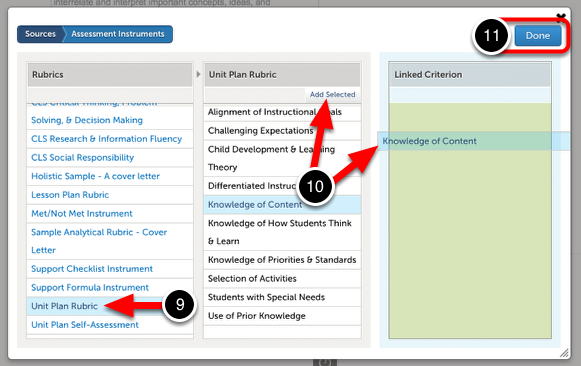 NOTE: It is also possible to link criteria to an outcome in the assessment instrument building or editing process. For more information, please visit the Link Instrument to Outcomes page. 8. Click on the Link Criterion to this Outcome button. 9. In the Assessment Instruments column, select the Assessment Instrument that contains the appropriate criterion. 10. In the middle column, select the criterion. 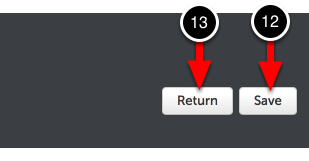 Drag-and-Drop the criterion into the third column or use the Add Selected button. Click the New Outcome Set button and repeat steps 1 to 5.